Gov. Bill Haslam announced legislation to increase broadband access to unserved citizens in Tennessee. Here's an updated new version of this story. Gov. Bill Haslam today announced a plan, called the Tennessee Broadband Accessibility Act, to expand broadband into underserved rural areas today. The Tennessee Broadband Accessibility Act looks to provide $45 million over three years in grants and tax credits for service providers to help make broadband available to unserved homes and businesses. The plan will also allow Tennessee's private, nonprofit electric cooperatives to provide retail broadband service and make grant funding available to the state's local libraries to help residents improve their digital literacy skills and maximize the benefits of broadband. Haslam's plan does not allow local government-owned utilities like EPB to expand their internet access beyond their current service areas, a major snub to the city of Chattanooga-owned EPB, which for years has sought unsuccessfully in the General Assembly against opposition from AT&T, Comcast and others to expand its super-speed internet outside its current boundaries. Moreover, the governor's bill is strictly a broadband proposal and does not provide for cable-like entertainment offerings in rural areas. Haslam said his plan expands access without expanding government. "You have a situation where we'd much rather have private providers rather than government subsidized entities have the first crack at getting that done. And we think this is a program that will do that. Once you get into having government subsidized entities do, it brings up a whole different level of questions," Haslam said. 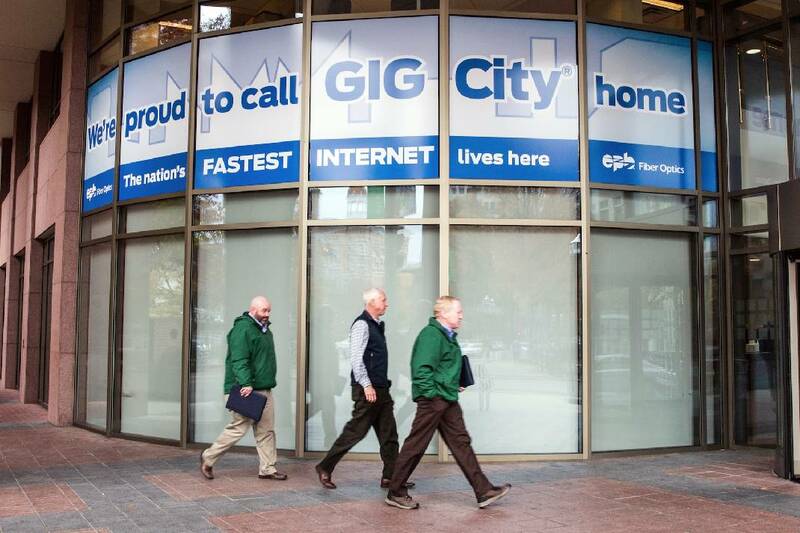 Chattanoog's city-owned Electric Power Board has fought for years to expand its internet offerings outside its service area, but has been unsuccessful in efforts to persuade the legislature to change state law to do so. Tennessee currently ranks 29th in the U.S. for broadband access, with 34 percent of rural Tennessee residents lacking access at recognized minimum standards, according to a release. 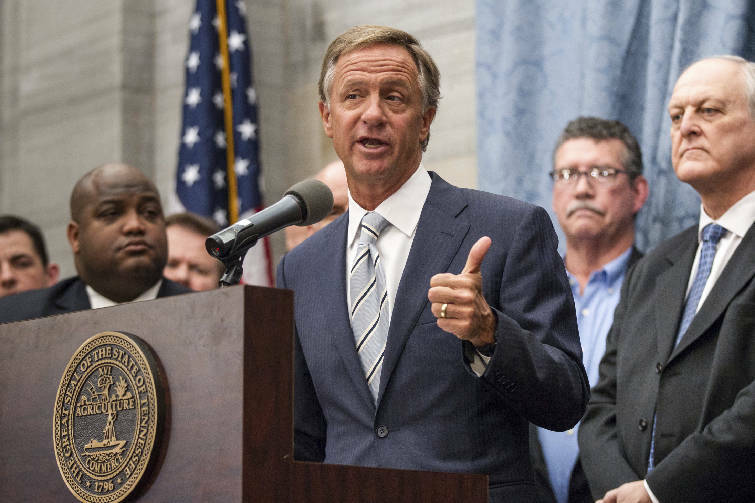 Haslam's proposal was welcomed by the state's 23 electric cooperatives, which now distribute TVA-generated power to 71 percent of Tennessee's land territory but previously were banned from offering high-speed broadband services to the home. David Callis, executive vice president and general manager of the Tennessee Electric Cooperative Association, applauded Haslam for recognizing "the unique role electric co-ops can play in expanding access to broadband" to many of the 2.5 million customers across the state that are customers of electric co-ops. "We are honored that the governor recognizes the deep roots co-ops have in rural and suburban Tennessee, and we look forward to working with the members of the 110th General Assembly to expand connectivity and opportunity," Callis said in a statement. AT&T, the state's biggest telephone provider, also welcomed Haslam's plan. AT&T has long balked at allowing municipal utilities to expand their services into rural areas, claiming EPB and other municipal power authorities could cherry pick the best customers and undermine private telecom efforts by using their government advantages. "With billions invested in our Tennessee networks, we are encouraged by the Governor's recognition of the work being done by private industry and are also pleased to see the conversation shift toward a more comprehensive approach to encourage continued and accelerated rural broadband deployment, adoption and digital literacy," said Joelle Phillips, president of AT&T Tennessee. 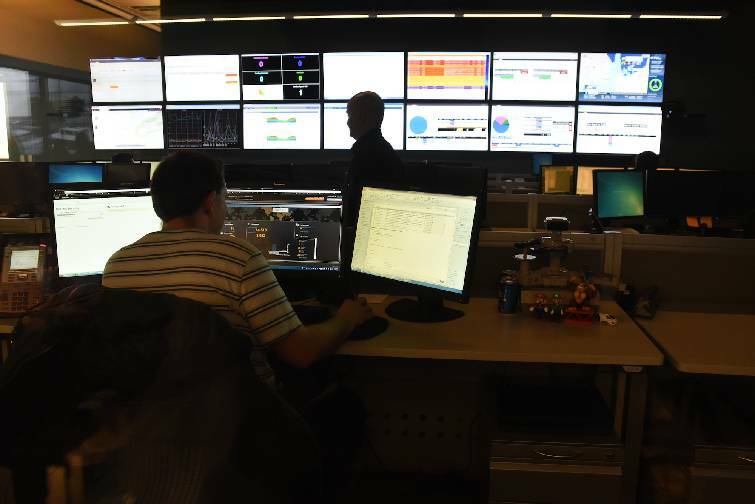 EPB workers at the utility's fiber optic control room in 2015 help control EPB's telecommunications network, which PC Mag rated as the best for internet service in the country. But State Sen. Janice Bowling, R-Tullahoma, said the measure only goes half way in removing regulatory limits that she said now limit fiber optic service in much of Tennessee "and keeps too many rural citizens from participating in the 21st century digital economy." In addition to allowing electric co-ops to provide telecom services, Bowling has introduced legislation to allow municipal power utilities such EPB in Chattanooga to expand their fiber-to-the-home services across Tennessee. Municipal utilities are now only allowed to serve customers within their own power service territory, as defined by the Tennessee Valley Authority. State Rep. John Ray Clemmons, D-Nashville, said Democrats in the Legislature have been pushing for state government to act to recognize that broadband service "is a basic necessity today." "Now that this Republican governor has decided that the government has a duty to insert itself into this issue, and expressly bucked his own party's position in doing so, he has set the stage for a serious policy debate at the state level that is long overdue," Clemmons said. The Federal Communications Commission voted 3-2 in 2015 to strike down that territorial ban in Tennessee to broaden broadband services, but a federal court last year struck down the FCC ruling and upheld Tennessee's law, claiming the federal regulatory agency had overstepped its authority. 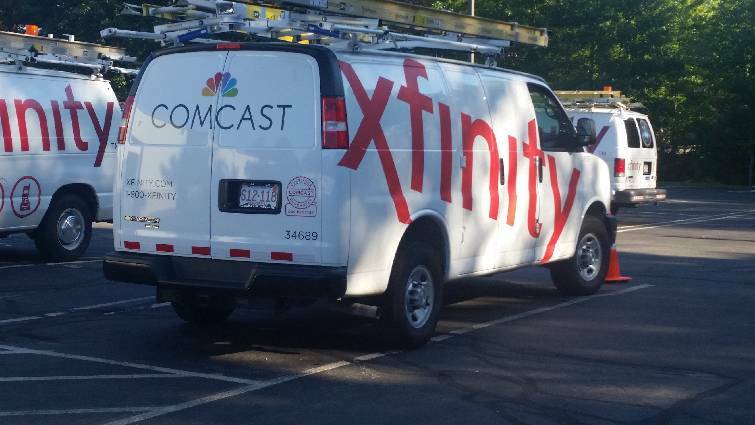 Investor-owned telephone companies such as AT&T and private cable TV companies such as Comcast and Charter have objected to having to compete with government entities such as EPB, which they claim have an unfair advantage by not paying income taxes and enjoying government supported borrowing abilities. But Bowling today Haslam's proposal and existing law isn't necessarily a free market since the investor-owned utilities are being provided taxpayer monies to support rural broadband while regulations prevent more competition from new telecom players. In Chattanooga, for instance, residential customers may get their telecom services from Comcast, EPB or AT&T and local citizens enjoy the fastest internet services in the country.